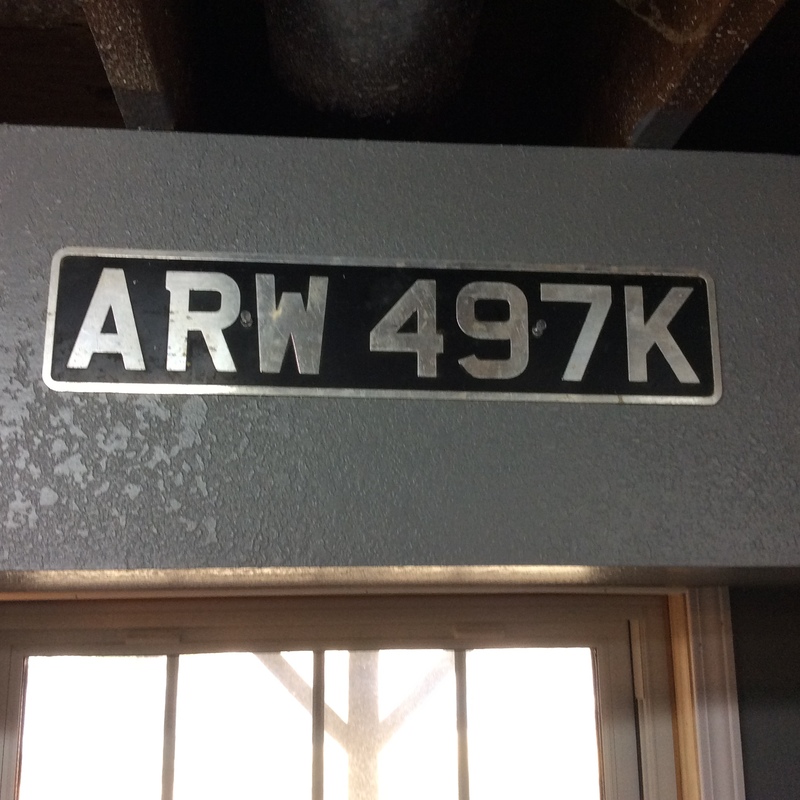 Memories in the hobby room…. My dad and his father before him owned a dairy – this was a long, long time ago, obviously. I found some of his glass milk bottles while going through his things and also found bottle caps from both dairy. Oh, how I wish he were here so he could tell me stories. 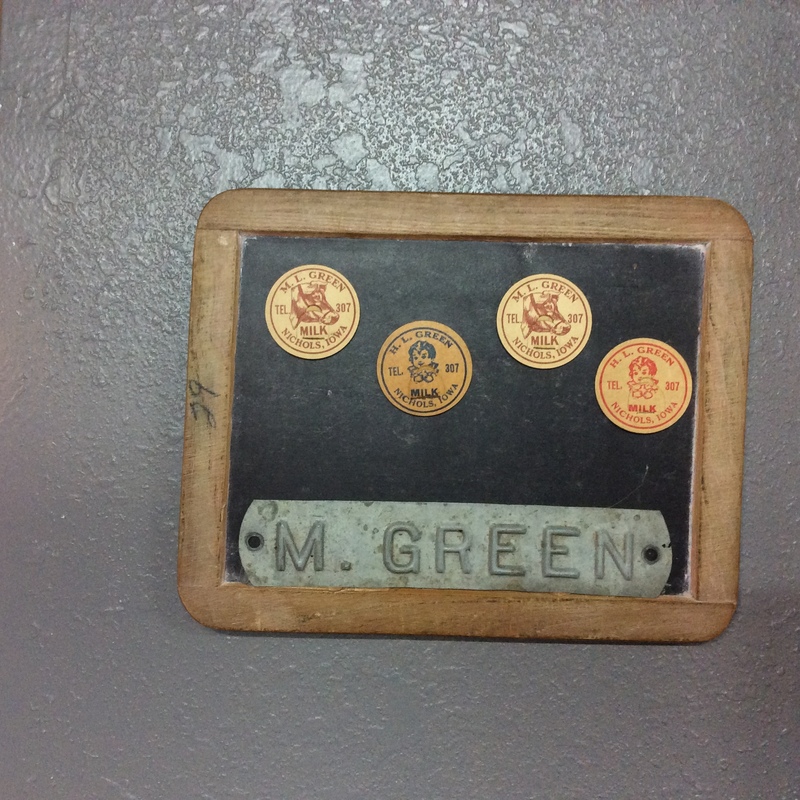 I glued them and the mailbox sign on this old chalkboard and hung it by my desk. My dad was an artist. 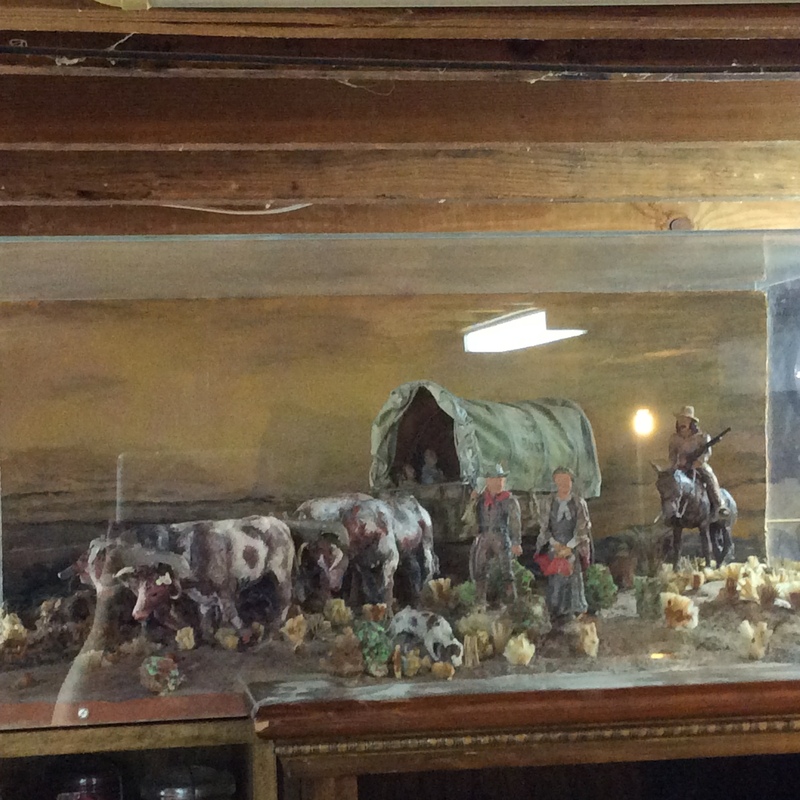 After he completed his 6 foot Budweiser team project, he started doing little western scenes – dioramas to keep himself busy. This is the largest and my favorite…not a great picture. It is all made out of clay and miscellaneous medium that he had in the house. He was also very frugal and didn’t buy things for his projects. As most of you probably know, my maiden name was Green and my mother’s maiden name was Brown so I had a Grandparents Brown and Grandparents Green just like my kids. 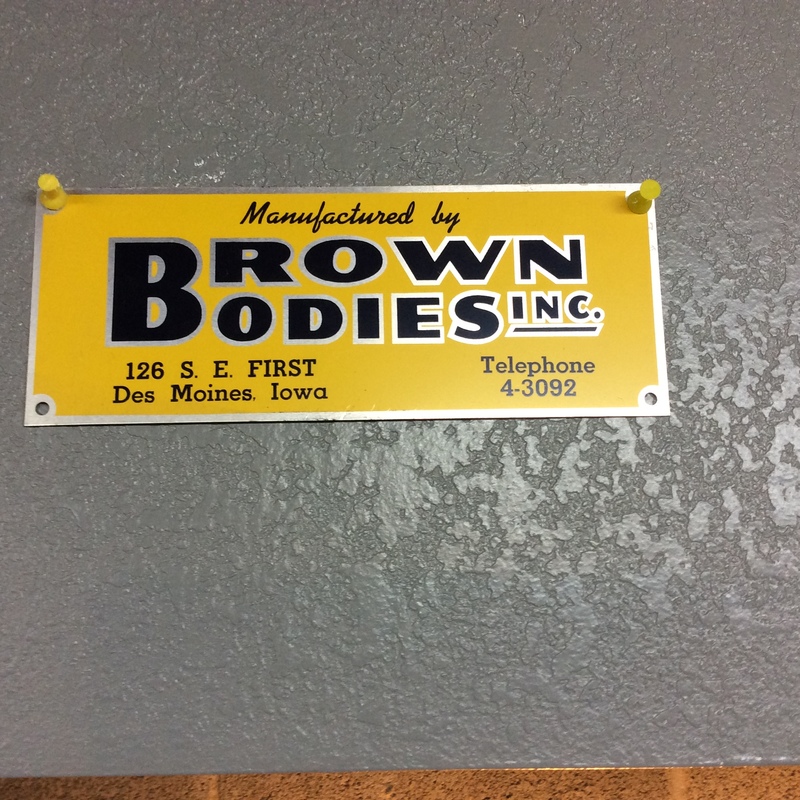 My Grandpa Brown built trucks in the early days and finally sold out to John Ruan for you Iowans who bow down to the name. I found one of the signs used on his trucks. Growing up in the 60’s my dad had a blue VW beetle. Lennie Shaffer Houge and I used to play in it. Played house along with Davey Jones and Andy Williams to name a few. They loved us, you know. I’ve always had a love for the Beetle. I was thrilled when the him-in-law bought and old one to restore. 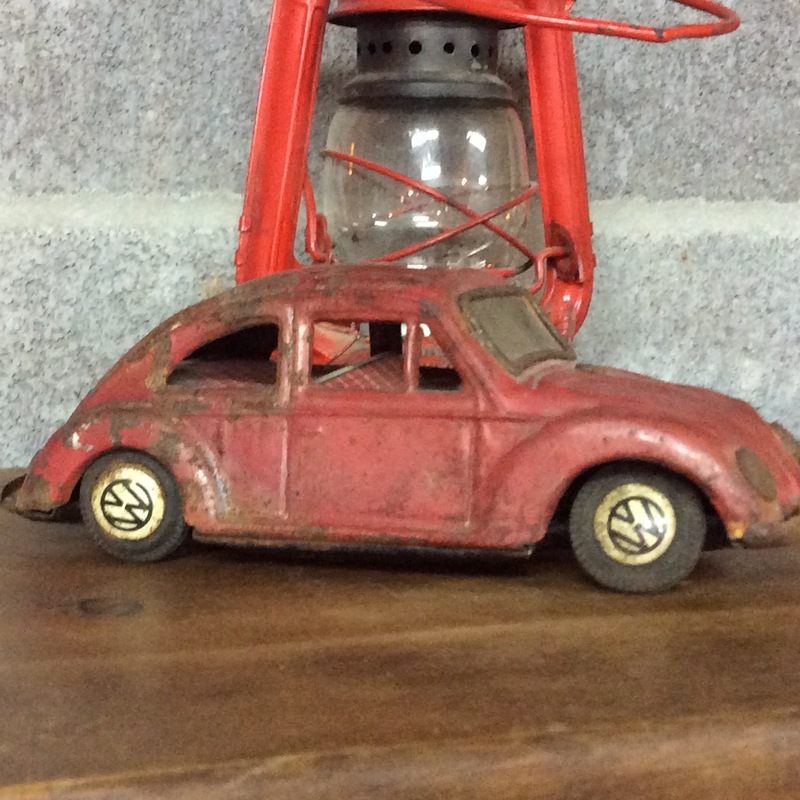 I’m trying to stop myself from starting another collection of VW Beetles..but I got this one at the Ice House Auction last week. It is beside the Avon bottle bug on one of my cupboards. This is a license plate that him-in-law kept from a car he owned in Italy…It has a lot of meaning for me now after my two trips to Italy…so it has double the meaning. 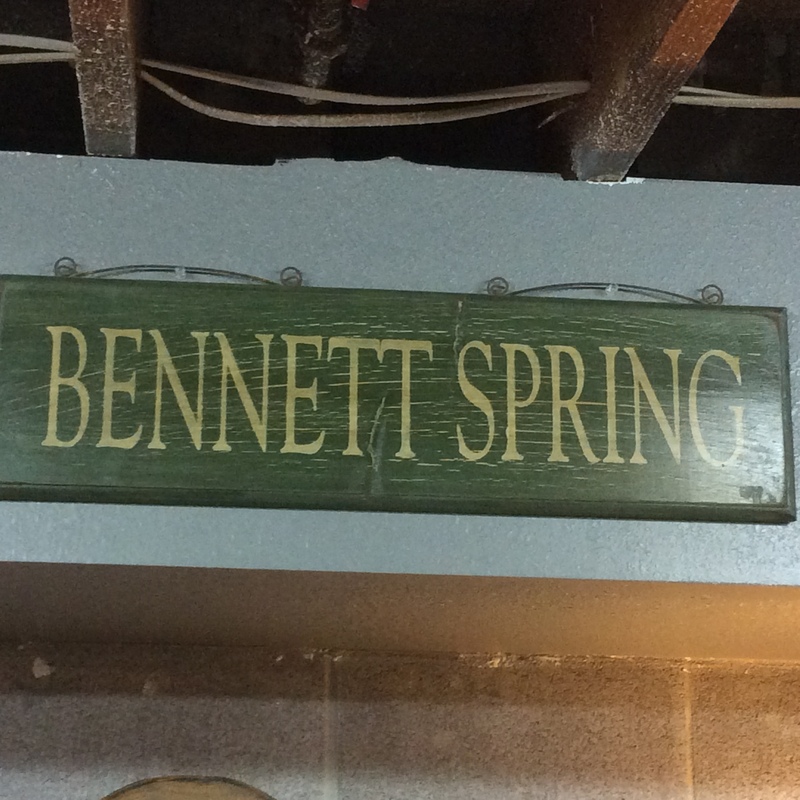 …and then my Bennett Spring sign. The place on earth where I started finding peace. Its a place I celebrated love and life with my dear friend, Brett. It’s just outside of Lebanon, Missouri and we camped and fished together several times a summer. He and I have driven thru once – will go back this summer and camp..Brett died in 2010 and I think it has been long enough that it will be possible to go back with loving memories and make new memories. ← I’m mildly emotional today – it could go either way…. This is soooo interesting. Would love to see what all he used to make this scene. Amazing!! What a beautifully touching post. I loved hearing all of the history. So cool! That must be so neat to have those things to go through and look at. ☺ Such great memories! Great blog today! Can’t wait to see your room; and tin on the ceiling wil be perfect!! I agree with MB, Brett would want you to go and in doing that you are honoring his memory and what he taught you about love and life. Nice memories! Craig’s grandma used to do shadow boxes and only used bits from around the house. She would make doll house rooms. Neat that your dad did that, too. I think Brett would want you to go back and make more memories there. It sounds like a special place.